Pupils at St Nicks primary school cheered in delight as they unexpectedly witnessed the emergency felling of a tree on Chislehurst Common this week. 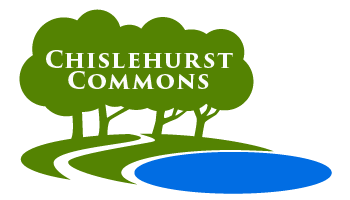 The Horse Chestnut tree on the area of grass opposite the school had been identified as a risk by Chislehurst Commons as part of its annual tree survey. The charity, which manages and maintains the 180 acres of common land, called in local specialist James Hedges for a second opinion. As a Chartered Forester, he agreed that the tree was in a poor state due to fungal growth on several limbs and recommended that it be felled. Before the Keepers of the Commons had a chance to act, heavy winds brought down one of the large branches on Wednesday which meant that the tree had to be felled as a matter of urgency. The work was carried out by the two Keepers, assisted by volunteers who helped to secure the area and clear around four tonnes of waste. By chance, the St Nick’s pupils were enjoying their morning playtime and could enjoy the spectacle from across the road. The moment was captured on video by Assistant Keeper, Peter Edwards.